The text presents a complete and realistic aircraft engine design experience. From the request for proposal for a new aircraft to the final engine layout, the book provides the concepts and procedures required for the entire process. It is a significantly expanded and modernized version of the best-selling first edition that emphasizes recent developments impacting engine design such as theta break/throttle ratio, life management, controls, and stealth. 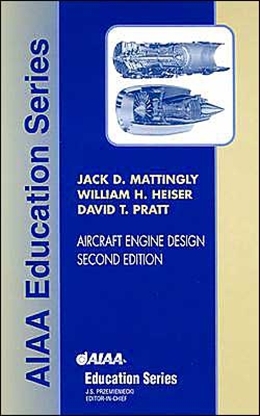 The key steps of the process are detailed in 10 chapters that encompass aircraft constraint analysis, aircraft mission analysis, engine parametric (design point) analysis, engine performance (off-design) analysis, engine installation drag and sizing, and the design of inlets, fans, compressors, main combustors, turbines, afterburners, and exhaust nozzles.